Autumn at Thompson Lake. Photo courtesy of Bob Travis. Located in Southwestern Maine, Poland provides visitors with a relaxed and laidback retreat from the pressures of daily life. In addition to Poland, tourists find outdoor events and other attractions in the nearby towns of Lewiston-Auburn, New Gloucester, Minot, Mechanic Falls, Otisfield and Oxford. Try geocaching, kayaking, canoeing, hunting or fishing in the summer. View gorgeous foliage and pick apples in the fall. In the winter, snowmobiling, skiing and off-road trails attract outdoor enthusiasts. Spring delivers fantastic views for photographers, bird watchers and hikers. Discover the charm and recreation offered year round in the rural communities surrounding Poland, Maine. A Victorian Era resort area, Poland and Poland Springs continue to entice visitors year round. Named after a favorite hymn of one of the town’s first settlers, Poland welcomes guests to unwind, relax and explore multiple historical sites and outdoor locales. No trip to Poland Springs is complete without a tour of the restored Spring House. In the 1830s, a simple construction project uncovered a natural spring. As local residents praised the curative properties of the well, visitors flocked to the city. The search for medical cures led to the inception of the spa industry in Poland Springs. From the first commercial bottled water sale in 1859 until today, Poland Springs Bottling Company serves pure, quality water to customers worldwide. The restored Spring House and operational Bottling Plant receive visitors in the Poland Spring Preservation Park while the Maine State Building and All Souls Chapel display examples of unique historical architecture. From bottled water to water play, three popular attractions offer play, picnic, swimming and fishing opportunities. The wide, sandy beach and easily accessible waterfront of Range Pond make this location ideal for summer fun in the sun. Likewise, Sabbathday Lake offers swimming, sun bathing and relaxing along the pristine shores of the historic lake that sits on land belonging to the last active Shaker community. Anglers and boaters flock to Tripp Pond in pursuit of largemouth bass, smallmouth bass and white perch. In addition to these three water attractions, the Androscoggin River, or “river of cliff rock shelters,” flows through Poland and surrounding towns. A popular fishing destination, the river shelters brook, rainbow and brown trout as well as landlocked salmon and its chief quarry, smallmouth bass. In addition to fishing, tourists indulge in canoeing, kayaking and on-shore opportunities on and around the Androscoggin. While the great outdoors attracts annual visitors, Poland offers additional activities as well. Opened in 1921, the Martindale Golf Course provides a quality golf course for players of all abilities. Visitors may join their e-Club and receive a free round of golf during the week before and the week after their birthday. Take a tour of the Old Poland Corner Schoolhouse, and see a glimpse of a school from the 1800s. For personalized transportation to points in Maine and beyond, utilize the Auburn-Lewiston Municipal Airport. While no commercial flights utilize the airport, tourists may fly or charter a plane for transport to hunting or fishing expeditions or to larger airports. While visiting Poland and Poland Springs, several resorts, commercial hotels, Inns and outdoor camping provide guests with accommodations for the duration of their adventurous and resorative stay in Maine. Formerly a thriving mill community, Mechanic Falls remains a small town that offers community and hospitality to visitors. Two unique historical sites attract visitors. Visit the Historical Society’s newest acquisition, the Congregational Church. As funds become available, the Historical Society plans to convert the historic building into Congregational Hall where artifacts and other memorabilia will be stored in a museum atmosphere. Additionally, the National Register of Historic Homes lists the 4000 square foot Samuel Penney House, build around 1902. It provides one example of architectural grandeur in the area and provides one of many activities for guests to enjoy when visiting the area. Picturesque and rural, Minot piques the exploratory interests of visitors. In addition to outdoor activities like camping, hiking and Androscoggin River fishing, visitors may try their hand at mining. Find minerals and gems in Mount Apatite Park while learning about the area’s mining history. Explore interesting geological features, and access one of only several mineral collecting sites in the state. Tour the Minot Historical Society & Museum or one of several one-room schoolhouses. Most of the schoolhouses now serve as remodeled residential or commercial properties but are available for exterior perusal in Minot and surrounding towns. The rural towns of Otisfield and Oxford provide a relaxed getaway any time of the year. Bordered by Thompson Lake, Pleasant Lake and Crooked River, these towns provide water-based activities for tourists and outdoor enthusiasts. Hunt, fish, boat, swim, hike, sun bathe or simply enjoy a quiet walk in nature before retiring for the night. Find quality accommodations in a local Inn, Bed and Breakfast or summer cottage. For camping guests, find a free, rustic campsite near one of Oxford or Otisfield’s lakes. After a day enjoying the outdoors, guests find entertainment when they visit Oxford Plains Speedway. Contestants can enter the obstacle course race or smoky donut contest and watch the Go-Kart races, Pro-All stars series or the TD Bank 250 race. In the winter, snow tubing provides cold-weather entertainment. In September, the Oxford County Fair offers entertainment and a glimpse into Maine’s economic roots. A woodsman demonstration and contests as well as art displays, Harness racing, agricultural animal displays and a tractor pull draw visitors from around the area. For aerial transportation, Oxford County Regional Airport accommodates visitors, hikers and hunters. Every year, it welcomes over 4000 teenagers from around the world to discuss conflict resolution issues at the Seeds of Peace International Camp. While Poland and surrounding communities offers visitors a tranquil retreat, modern amenities make this area a prime spot for year round activity. Visit during any season, and find outdoor and indoor activities along with a cheerful welcome from local residents. Discover the area’s attraction for residents who choose Poland and relish the close-knit, peaceful and nature-rich area. 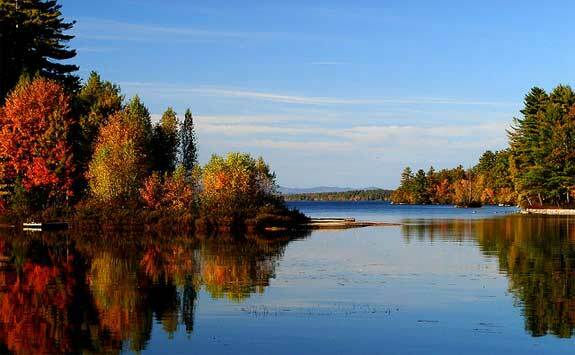 Visit the following directories to find lodging, dining, attractions, shops, services and recreational activities in the Poland, Maine area.